Hire equipment at competitive rates, our efficient plant hire service is backed by over 25 years of experience and knowledge. Please call for pricing and availability. Other equipment available to hire dependant on length of hire and notice given. 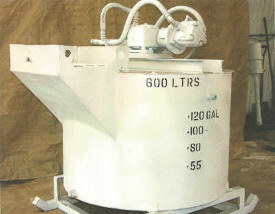 Rotating paddle mixer complete with agitator, 200 and 250 litre. 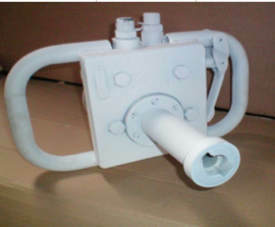 Non standard sizes can be manufactured to order to meet your individual requirements. 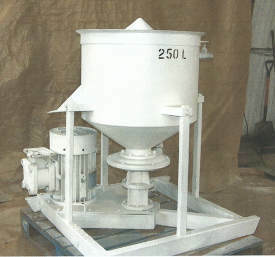 The colloidal grout mixer is a high speed mixing unit providing an efficient and rapid means of producing various types of grout. 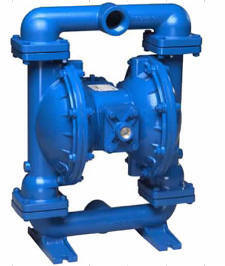 A variety of double diaphragm pumps to hire or purchase. 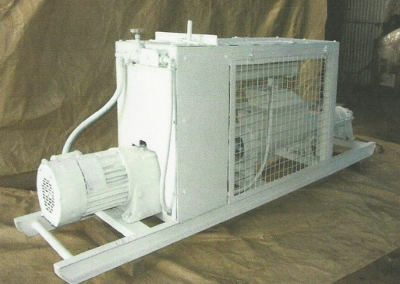 The GB7 grout pump is a high performance and robust pump, specifically designed to meet the rugged and demanding conditions of the mining and construction industries. The GB7 grout pump is constructed of fire retardant anti-static materials and has been specifically designed for use in hazardous work environments. Rambor hand held air drill to hire at competitive rates. Master Works M1 (MM) is a resinous, water based material. It is intended for use as a TSL (thin skin liner). It has an exceptional adhesion to most rock substrates and will bring together loose and friable rock and prevent further unravelling. 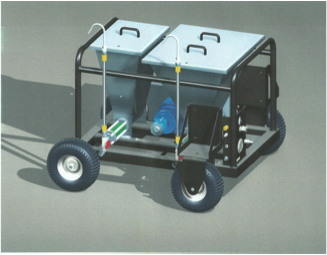 Pneumatically transports dry-mix sprayed concrete (also know as shotcrete or gunite) and other dry materials, operates through rotor system. This robust and versatile machine requires little maintenance and is simple to operate. 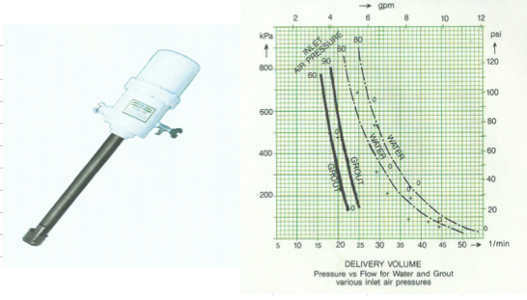 It can be used for all types of dry shotcreting work. Our Continuous placing machine, has by virtue of the large amount of units sold proven to be the most effective continuous mixing and placing machine available. 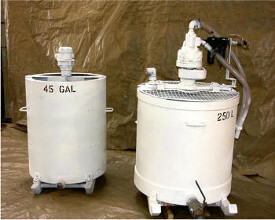 With the choice of two constant fixed rates for metering grout against variable water flow, the slurry produced remains constant throughout the pumping operation. 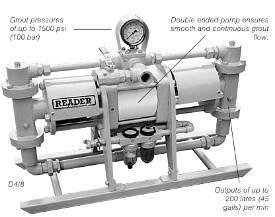 Single and double piston pumps, featuring heavy duty pneumatic cylinder drive. 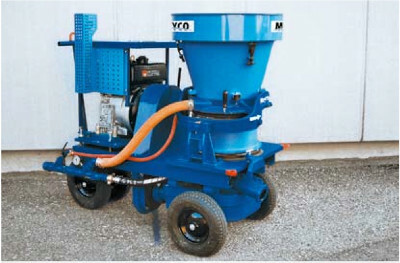 The Texflex machine has been developed specifically for batch mixing and discharging very viscous materials it is equally useful for small batch mixing of any other cementitious grout in common use. 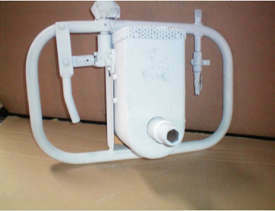 The machine can be used for spraying Tekflex type material, ie pva glue grout plus water mixture. No mesh required leaves tunnels white. 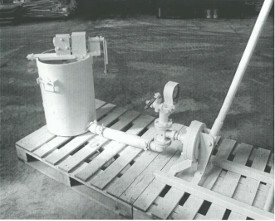 The machine comprises of 3 unit pieces, an air driven paddle unit, a mixing vessel and air driven positive displacement pump. These are detachable from each other to enable ease of transport. Specifications:- Paddle motor & pump motor sealed for life requires no maintenance. 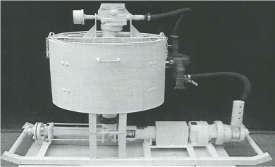 Pump(Mono) rated at 12 bar max delivery pressure, output is approx 12litres/minute at 500rpm.